Categories > Primary Sounding Circle > Post Gong Hand out and waiver? I would like to give out a short hand out after the class, has anyone done something like this in the past and can they give me any guidelines on what to include? I am not getting people to sign any wavers, is this necessary/mandatory? Pardon my total ignorance, I am hoping the group can help! Thank you so much! I will have a look around the various postings. Goodvibrations, welcome to the group - thank you for joining! You'll see that there are a lot of knowledgable and thoughtful people here, though our conversations can move at a rather slow pace. Mitch's reply above is a good one and just about covers it. I too talk a bit before such things (though I don't specifically do "gong baths"), and then afterward invite people to share their experiences. How did your first Gong Bath go? Are you also new to playing gongs? If you are, I'd mention that to your group. Not to be elitist about it, but like any discipline, it can take many years of dedication to achieve a level of "mastery".... and part of achieving that level is the awareness that it's an ever growing, expanding, deepening experience - no final, or top level, or "complete mastery" to be attained. Be sure to listen. Always listen. Seems obvious when working with sound, but not everyone involved in this work seems to be really listening. The subtleties and depth of sound work reveal themselves over time with much practice and experience. This listening includes listening to the room, listening to your inner responses, listening to the responses and condition of the participants, listening to the "spirit" or essence of the place and moment, etc, as well as listening to the sounds your gongs make when hitting them. Concurrent with all of this listening is cultivating the ability to be able and willing to respond to what one hears - responding in how one further plays the gongs. 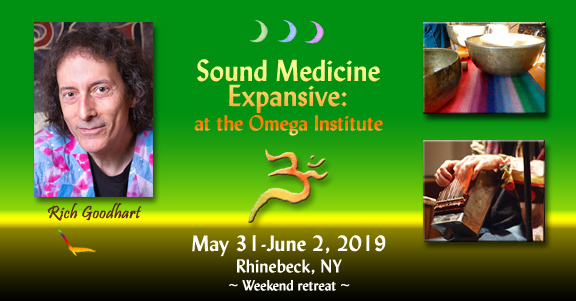 For me, I was a musician for more than 25 years, and a dedicated practicer and active student of sound healing for at least ten years before offering my work publicly. Not trying to discourage you or anyone, just sharing my perspective - I'm just inherently a believer in the necessity of such long term dedication to a practice that has the potential and power that working therapeutically or "medicinally" with sound has. Best wishes, thanks again for joining this group, and please visit now and then!